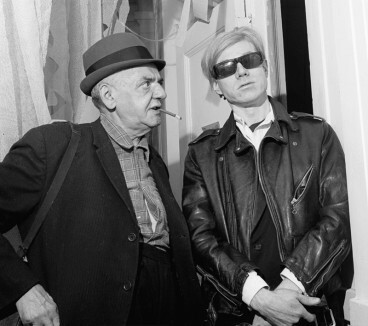 Andy Warhol was born in 1928 in Pittsburgh, Pennsylvania. He studied history of art, pictoral design, sociology and psychology from 1945 to 1949 at the Carnegie Institute of Technology, Pittsburgh. He then went to New York as a commercial artist. As a painter, graphic artist, photographer and director of films, Warhol is considered a founder and main exponent of Pop Art. He died in 1987 in New York.